SCE restocked Mammoth Pool Reservoir with 1- and 2-pound rainbow trout. Trout are released via this plastic chute into Mammoth Pool Reservoir. Newly released trout swim in Mammoth Pool Reservoir. Trout from Mt. Lassen Trout Farm are released into Mammoth Pool Reservoir via a plastic tube. SCE restocks the reservoir with rainbow trout for recreational fishing when the lake opens June 15. 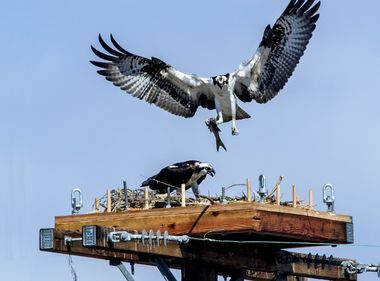 It’s nearly summertime and the fish are jumping at Mammoth Pool Reservoir after Southern California Edison began restocking the lake with rainbow trout. Mammoth Pool Reservoir is part of SCE’s Big Creek hydroelectric system in the Sierra Nevada east of Fresno. Last year, SCE had to draw down the reservoir to install gauges on the lake’s shore. After the project, SCE and the California Department of Fish and Wildlife discussed ways to address the loss of adult fish that likely resulted from the drawdown. SCE agreed with the department’s recommendation to stock 10,000 pounds of catchable-size trout in the reservoir each year in 2018 and 2019. A Mt. 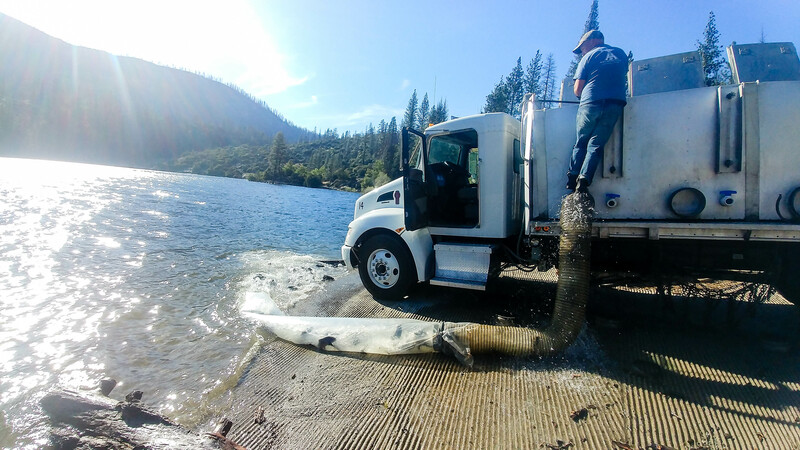 Lassen Trout Farm truck driver opens a fish tank to release 1- and 2-pound trout into Mammoth Pool Reservoir. 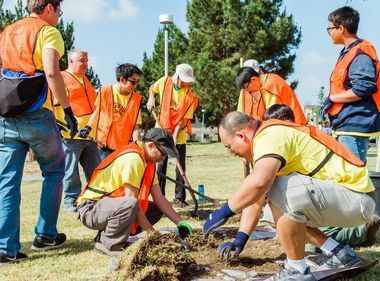 We are delighted to see Southern California Edison’s commitment to restoring Mammoth Pool Reservoir as a premier trout fishing destination for Central Valley anglers. This initial stocking of 10,000 pounds of rainbow trout will jump-start this fishery just in time for the spring and summer fishing and camping seasons. This year’s first truckload of 3,000 pounds of trout originally was scheduled for the end of April. Late spring snow and cold weather, however, delayed restocking until May 7, when the first of two deliveries of 1- and 2-pound rainbow trout arrived by truck from the Mt. Lassen Trout Farm. Restocking the lake is no small feat. Preparing the fish for the eight-hour truck trip from Mt. Lassen to Mammoth Pool Reservoir takes several steps, said Katie Harris, vice president of the trout farm. Trout farm staff stop feeding the fish three to five days before the trip to reduce the waste they produce while in their temporary tanks on the truck. On moving day, the fish are placed in the truck’s tanks, which have been filled with icy cold water. “We want the water really, really cold for them so their metabolism slows and they are nice and calm so they don’t use a lot of oxygen,” Harris said. When the truck arrives at the reservoir, the driver attaches a metal pipe to the first of four fish tanks. A long plastic tube on the end of the pipe extends into the water. Once the tank hatch is opened, the water with the trout gushes through the sluice into the lake. 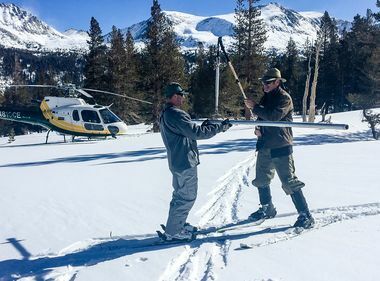 The process was repeated Monday when the final 7,000 pounds of trout were delivered before the fishing season, which opens at Mammoth Pool on June 15. Alex Olow, a public affairs spokesman for the U.S. Forest Service, said fishermen will really appreciate the additional trout.